Redspencer - Ride It Out. Background - Redspencer shares a new music video for "Ride It Out". 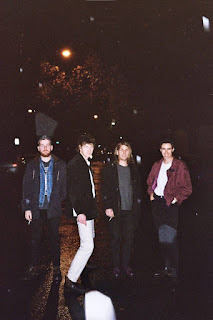 Despite only having a four-track EP to their name, Redspencer have already garnered avid praise from the likes of NME, CMJ, Triple J, Indie Shuffle, and Time Out New York with ‘Ride It Out’ included at #14 in their Best Songs of 2015. The four-piece’s eponymous debut EP is a hark back to the band’s humble beginnings, evoking images of balmy, mid-summer drives along the coast with the windows down. The sunny, reverb-swathed guitar- pop of lead single ‘Happy Slow Riverbends’ captures that image to a tee, rousing comparisons to the likes of Spoon and Real Estate. Hunter & The Bear - You Can Talk. Background - Hunter & The Bear are pleased to share the video for their latest single 'You Can Talk'. Brought up on a heavy diet of rock bands like Led Zeppelin, Black Sabbath and Pink Floyd, Hunter & The Bear are equally inspired by modern bands like Biffy Clyro, War On Drugs and Royal Blood and this latest track - and accompanying video - offers a solid insight into their recording process with more than a glimpse into what you can expect from their raucous live shows. 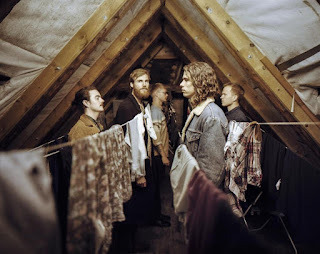 Releasing one video a month until their album release in May, there's a lot more to come from Hunter & The Bear, the UK's most promising rock export. 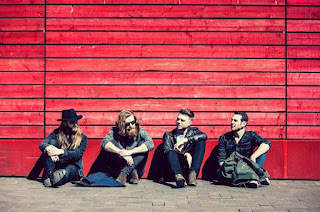 Hunter & The Bear are: Will (lead vocals, guitar), Jimmy (lead guitar, vocals), Gareth (drums, vocals), Chris (bass, vocals). See our Tour page for details. Website here, Facebook here. Background - After the success of psychedelic folk outfit The Migrant, frontman Bjarke Bendtsen is ready to transcend furthermore into electronic folk-rock territory with the release of his latest project Rainbrother’s debut album Tale From The Drought, out on February 3 via General Bird [pre-order here]. You'll Never Get To Heaven - Images. 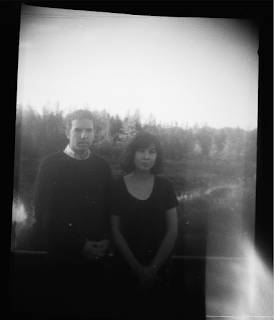 Background - Canadian ambient-pop duo You'll Never Get To Heaven have announced the release of their third full-length album, 'Images', on March 24th, 2017. With the announcement they have shared the title-track to the album. Alice Hansen, a classically trained pianist and violinist, and Chuck Blazevic, a studio-obsessed tone-sculptor and monome performer, combine their disparate perspectives to co-curate every element of YNGTH together as equals. After gaining a groundswell of support from fans and critics all over the globe for their 2012 self-titled debut and 2014's 'Adorn', the group caught the attention of indie upstart Yellow K Records (Japanese Breakfast, Eskimeaux) on the strength of their breakout single "Caught In a Time, So Far Away". 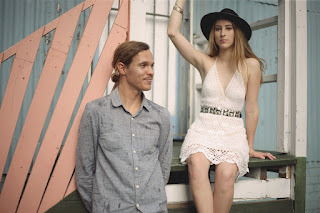 Background - Niterunner is a brother sister duo based in Byron Bay/Brisbane. Formed in 2014, their early single releases and debut EP Anonymous has gained interest online and gathered a following for its soulful electronic pop production and sweet melodic vocal hooks. 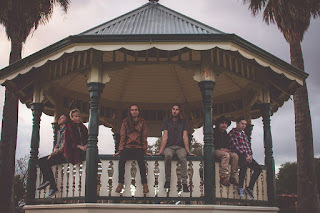 Their new single, ‘Out Of Your Hands’ was recorded in their family’s home studio in the hills behind Byron Bay, and was produced by 1⁄2 of Niterunner & Dansuede, Daniel Suesskow. Background - The latest release from Harmonee called ‘Slip Away’, is now available via D/A Music Group. Harmonee, a unique 3-piece girl group combine their passion of Rock and Pop music to create something entirely original. The group comprise of three girls from Liverpool, Sophie Glover, Maria Donovan, and Rebecca Scott who formed together in the Summer 2012. They have already gained recognition in their hometown of Liverpool, being played on BBC Radio Merseyside, alongside this they have performed live around the UK. The group love to give energetic performances every weekend playing Classic Pop and Motown Records to get weekend partiers dancing. However, they are currently focused creating their own music. ‘Slip Away’ is their first of many potential hits to come. Facebook here. Soulin Wild - Instinctive Echoes. Background - Soulin Wild began as an outlet of musical expression for Dan Gunn and Matt Bracknell and has now grown into a collective of gifted musicians and talented artists with over eight years of musical experience together. Soulin Wild are excited to share their first single, ‘Instinctive Echoes’, from their album Balance. Produced and recorded by Soulin Wild at Womb Language Studio on the banks of the Kalgan River, WA, ‘Instinctive Echoes’ is a song that expresses and evokes intrigue into the mystery and magic of instinct, intuition and other unconscious elements that reside beyond the thinking mind. The track moves through light and heavy sounds with vastly contrasting sections, yet remains fluid, held together with solid grooves, fat guitar riffs and lush euphoric vocals.